Temple Grandin greets the crowd at the kickoff of the 15th annual Milestones Autism Spectrum Disorder Conference. 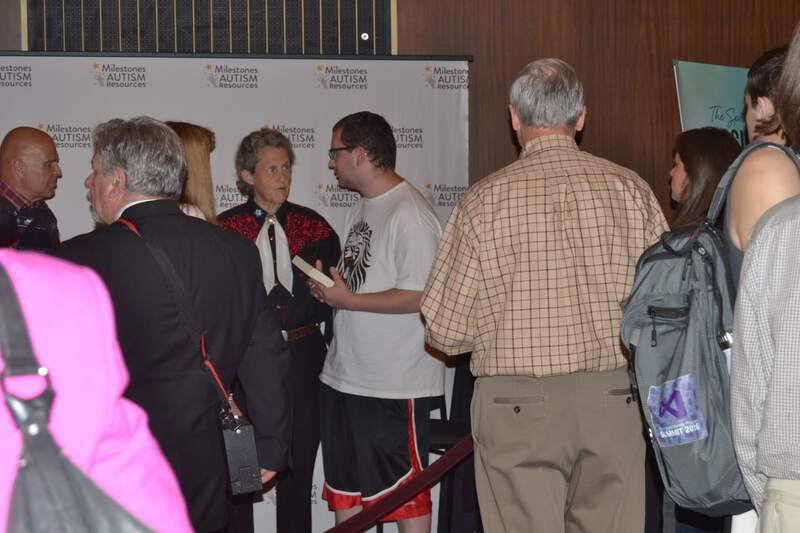 Temple Grandin, professor, best-selling author and advocate on autism, spoke to a crowded State Theatre at Playhouse Square Wednesday night to kick off the 15th annual Milestones Autism Spectrum Disorder Conference. At the Playhouse Square event, she signed books and took photos with the audience. The theme of her presentation was “Different Kinds of Minds,” but her main focus was helping people understand the job choices and opportunities available to those who have autism. Grandin wants to see kids be successful and learn work skills — that is why she is pushing for jobs. “(To) get the information out there,” she says about her talk’s message. “There are lot of people with autism. I want to see them get good careers. She also is opposed to kids playing video games, as she worries about addiction to the devices. Her focus is for kids to expand their horizons by having at least two jobs before leaving high school and have more of an entrepreneurial spirit, even if they start simple, such as selling things at a yard sale. She also spoke about different professions in which computers aren’t likely to replace workers, such as plumbing, construction, theater or mechanics. Grandin said she thinks it’s important to have goals and to take the opportunities as they come. “You have to have the guts to go through the door; it will only open for second,” she said. The Milestones Autism Spectrum Disorder Conference takes place June 15-16 at the I-X Center in Cleveland. Click here for more information.